A ship that left Puerto Rico with 250 tons of humanitarian aid planning to dock in Venezuela was redirected to Bonaire after the Venezuelan Navy intervened. NBC 6's partner station Telemundo 51 was exclusively aboard the craft. The ship reported it would move to Bonaire after two Navy vessels approached the ship near the territorial waters of Venezuela and refused to allow the ship to dock in the state of Carabobo's Puerto Cabello. The governor of Puerto Rico, Ricardo Roselló, and the interim president of Venezuela, Juan Guaidó, confirmed the vessel received threats from the Venezuelan ships. A ship carrying tons of humanitarian aid to Venezuela was threatened by the Venezuelan Navy and denied access to a port. Personnel aboard the aid ship established contacts with the Venezuelan Navy to be allowed to dock in Venezuela. The Navy said their request was denied because they lacked necessary permits. 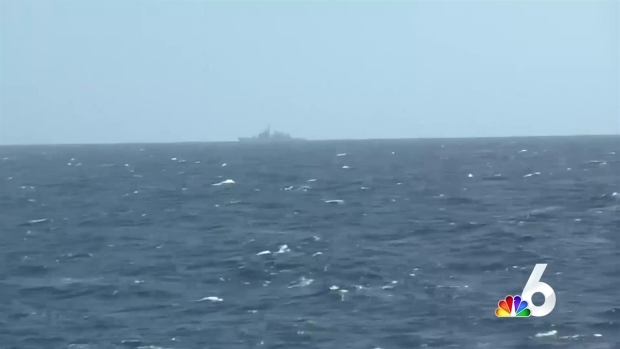 "It is a game of force, but we are hoping that there will be a break within the Venezuelan Navy and they will lend us support to accomplish the mission," a Venezuelan aboard the aid ship told Telemundo 51. 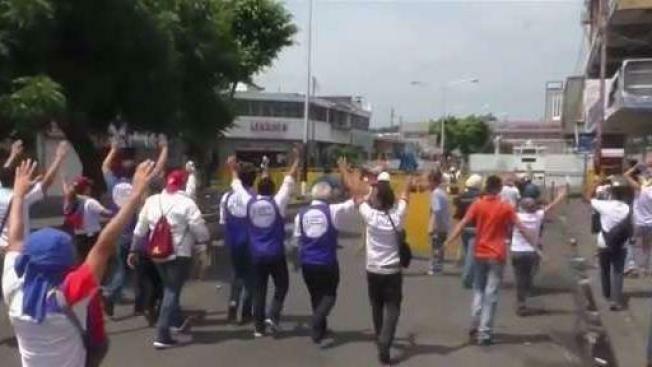 Venezuela is undergoing an economic and political crisis. A U.S.-backed drive to deliver foreign aid to Venezuela met strong resistance as troops loyal to President Nicolas Maduro blocked the convoys at the border and fired tear gas on protesters in clashes that left two people dead and some 300 injured.